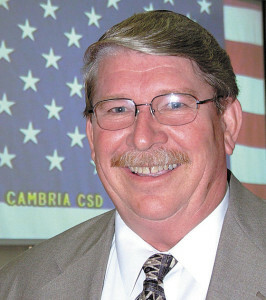 Muril Clift, vice president of the Cambria Community Services District Board, resigned at the end of Thursday’s board’s meeting. Clift’s resignation is effective Oct. 1. Clift sits on multiple local boards including the San Luis Obispo County Local Agency Formation Commission and the Special District Risk Management Authority. He has not submitted his resignations to those boards. In 2008, the Cambria board appointed Clift to fill a spot left vacant after a board member resigned. Clift then won an election later in 2008 and in 2012. In 2014, Clift lost his bid to unseat District 2 Supervisor Bruce Gibson. Let the FBI investigations begin. Kinda like Los Osos did eh? Those who live in glass houses……. If you’re implying, as you often do, that I “caused” the Los Osos Bankruptcy by taking the stance to Move the Sewer, then you are as ill informed as anyone could be. Decisions made by the Recalled Three were the reasons the district went bankrupt. I was on the board that had to make the hard choices to file for protection. BTW, I don’t live in a “glass house”. I live in the real world. I watch what all these governments do and lend my experience in the way of public comment. Cambria needs a bankruptcy consultant to stave off their creditors, sooner as opposed to later. If you can’t stand the heat get out of the kitchen. Cambria is going bankrupt thanks to decisions made by Clift and Co.